The RIPE NCC Amsterdam office is open Monday-Friday during regular office hours from 09:00-17:00 (UTC+1). The office is closed on all Dutch public holidays. 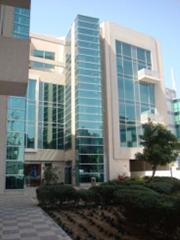 The RIPE NCC Dubai office is open Sunday-Thursday during regular office hours from 09:00-17:00 (UTC+4). The office is closed on all UAE public holidays. If you would like to contact us outside of office hours, please send us an email and we will respond to you during normal office hours.